We have a skilled, licensed, insured and experienced team serving the New York Metropolitan area. Our chiropractic therapist’s primary mode of treatment is the use of manual manipulation and adjustments. At Bodhizone – Dr Tai H. Ly delivers a Lumbar adjustment to the patient. However, we do recommend discussing alternative treatment options that you would feel comfortable with, which would also help reduce your pain and aid recovery like physical therapy, therapeutic yoga or pilates. Bodhizone has 6 offices that offer chiropractic adjustment across New York. They are located in Gramercy, Astoria, Bayside, Wall Street, The Hamptons and Grand Central. The medicine focuses on the relationship between the body’s structures such as muscles, skeleton and nerves and the patient’s health. Chiropractors make adjustments, especially in the spinal column to improve their patients health & quality of life. At Bodhizone our practitioners do not prescribe drugs or perform surgical procedures, however, they do refer patients for these services if medically indicated. Sometimes, chiropractors prescribe exercises for patients to follow at home. Chiropractors may perform diagnostic imaging, lab testing and other testing and some practice complementary medicine and nutrition. Chiropractic care is a non-drug and non-surgical type of healthcare. Chiropractic treatment involves the diagnosis and treatment of the musculoskeletal system using gentle spinal changes and manipulation. It is a natural way to revive and correct the spine position and help to heal your physique and reduce pain. Chiropractic is remarkably safe and can treat various musculoskeletal pains. A New Zealand government study the treatment by a doctor of chiropractic are safe and more efficient than other surgery and drugs. The adjustments are 100 times safer than over the counter drugs or medications for the same types of pain. If you suffer from any of these and are not sure that you want a chiropractor call us on 212-529-5700 and we’ll help you find the treatment you need. Along with how it can help you, alternative treatments and answering all your questions. All our staff are experts in their fields and have even treated professional athletes. The specialist may offer instant adjustments to the pelvis, spine or neck. 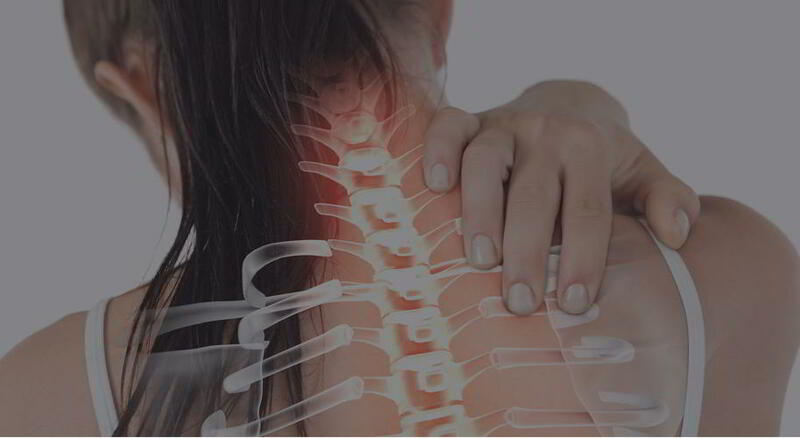 Patients can often recover completely from injury through the back and neck adjustments. ART (Active Release Technique) – This involves the chiropractor re-establishing proper motion between muscles and fascia while reducing fibrous adhesions. This is achieved by manipulation using their hands. The Graston Technique – An instrument-assisted, soft tissue mobilization therapy. It is beneficial in breaking up scar tissue adhesions, fascial restrictions and detecting areas of fibrosis and chronic inflammation. Ice or Heat Treatment – The therapist alternate between ice and heat therapy to treat patients back-pain. Ice packs are used to numb the back for a 10-15 minute period before then switching to heating pads. Massage – The chiropractic physician may massage the soft tissues to improve the circulation and reduce the inflammation and swelling associated with back pain and to encourage faster healing. Exercise – The obstetrician provides patients with instructions for an exercise program that focuses on strengthening and stretching the back. Diathermy/ Electrical Stimulation – This is a kind of electromagnetic therapy that passes the softer tissues and offers heat to tissues present in denser parts. It helps to relax muscles, decrease muscle spasms and thus it accelerates the healing process by increasing the circulation. Ultrasound – This is a deep heat therapy that can be applied to joints and soft tissues. Ultrasound, can not only help to reduce back pain, spasms and stiffness, it also increases the flow of the blood and accelerates the healing process. How Chiropractors Diagnose a Misalignment? During your initial consultation with the chiropractic healthcare professional, they will ask questions to acquire understanding about your total well-being and your medical history. You’ll be asked to fill out some forms and your answers will support your chiropractor in making a prognosis. 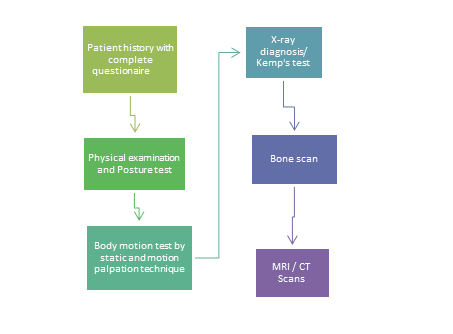 A Posture test is an easy way to check when the patient is sitting or standing. Improper posture leads to spinal misalignments, muscle spasms and subluxation. The chiropractor observes your walk pattern. Marching or strolling in position may reveal inconsistencies between the pelvis and backbone. The chiropractor measures flexibility by making you bend in distinctive directions and could help in the evaluation of stiffness and abnormal curvature of the backbone, as obvious in scoliosis. In the Psoas Muscle experiment, the chiropractor gently pushes on the raised leg to determine force, ache or imbalance of the joints between the vertebrae. Measuring the size and length of each leg helps the chiropractor check if there is a discrepancy in leg length. The chiropractic adjustment helps to balance the pelvis and proper leg length discrepancy. Other checks may be performed by the chiropractors like a bilateral evaluation of physique weight, muscle spasm/trigger point analysis, reflexes, sensation and muscle testing. Bodhizone uses the Graston Technique and the Active Release Technique for chiropractic treatment. The x-ray is an important diagnostic tool in chiropractic care. It allows us to see a more precise layout of the body’s interior design. Since there is a harmful effect to the body by ionizing radiation the x-rays are arranged only if necessary. Once a set of x-rays are taken for your spine it may be repeated to look for improvements after treatment. If X-rays don’t furnish as vivid a picture as a chiropractor expects then Magnetic Resonance Imaging or CT Scans are suggested because it is used to study in detail the state of the bones and the other structural alignments. Chiropractic care is free from any type of surgery, X-rays only allows the chiropractor to see the design of the bones in the body. The Bodhizone health center serves the New York City Area. Our doctors specialize in Chiropractic healthcare and the needs of individuals. They are well-versed in current chiropractic techniques and approaches in addressing the health concerns of our patients. Dr Tai H. Ly’s Explanation: What Is a Spinal Adjustment? He uses a specific instrument, table, or hands to work with subluxation. This adjustment restores the normal function of the nervous and muscular system. A force that restores normal, healthy function. Dr Tai H. Ly offered a chiropractic treatment to the patient who is affected by neck, shoulder/arm pain, upper back, and headaches. A traditional chiropractic adjustment or a high-velocity technique. Manual manipulation – It is the major technique used to relieve pain and commonly known as an adjustment. Dr Tai H. Ly uses his hands to pull and push on the joints and muscles of the lumbar spine, also in other parts which affect the lumbar spine. Manipulation may be forceful or gentle. The goal is to relieve pressure and pain by adjusting vertebral subluxations and re-aligning the spine. If you’re looking for chiropractic therapy or treatment in New York, please contact us on 212-529-5700 or you can fill in your details in our contact form below and we will get back to you. Looking for a chiropractor? | Call (212) 529 5700 | We here to help you!